Kelso Plumbing Home - Kelso Plumbing, Inc.
Kelso Plumbing was established in 1973 by Alfred “Pop” Kelso Sr.(deceased) and Alfred Kelso Jr. Pop was in the plumbing trade all of his life and Al tagged along from the time he could walk. 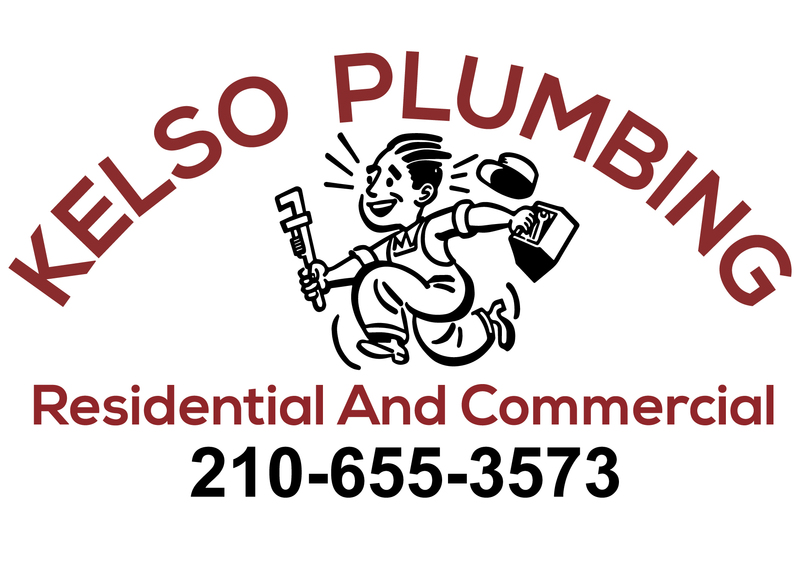 The business began as a partnership, and in 1975 Kelso Plumbing became Kelso Plumbing, Inc. The third generation of plumbers, Al’s son, James, now has the active role of managing a majority of the service calls. The San Antonio area is our company’s home as well as the area we service. We have evolved through the years in Residential & Commercial Repair and Remodeling. Our company does not perform work for large contractor new home construction. The work we do is customized and of top quality. Kelso Plumbing warranties our labor according to industry standards and above. Our fees are honest and not menu priced. While most companies are “menu” priced, meaning they charge you for each item they touch, Kelso Plumbing charges you for the time it takes the technician to perform the job of repair and/or install. Our size limits our ability to offer 24 hour service; however, we do our best to cover the needs of our loyal clients. We Appreciate Our Loyal Customers & Welcome Our New Ones!